Last weekend and the beginning of this week have been fascinating. If you had asked me a few weeks ago, before I started to write these blogs if the work I do had anything to do with education, I would have answered with a strong no. I would have mentioned that I train youth in media skills and that I also work with an educational foundation that helps develop solar light capacity in schools. Of course, these activities have everything to do with education. Writing for this blog has highlighted this rather obvious fact to me. This past weekend, the young people I work with at Filamujuani along with my partner and I finally launched TV Mtaani – community TV in the Kibera slums in Nairobi. This idea was born in early 2009. The community TV is a platform for youth to tell their own stories to the community and about the community they live in. Content will generally be edutainment or infotainment, consisting of local news, local features, adverts and drama among others. It was exhilarating to see the community congregate at the school grounds and watch the show projected on a wall. No sooner had I wrapped up the show in Kibera, than I was on my way to Narok County with Givewatts. This time we were distributing solar lanterns to schools in the heart of Masailand. These communities live among the wild animals, very close to the Masai Mara Reserve Park and many other nature conservation areas. These nomadic communities definitely struggle to achieve education for all – boys and girls alike. Samuel Pere is a teacher at Tumaini Academy, one of the schools we visited. He told me that most parents do not really appreciate the value of education. Boys were expected to accompany the livestock in search of greener pastures and water, a scene we witnessed along the road. Lanky but jovial boys tending to large herds of cattle or sheep, a long stick in hand. This means they miss school a lot especially during the dry seasons when usable pasture is scarce. Girls faced more challenges with education as they are expected to get married around the age of 14. 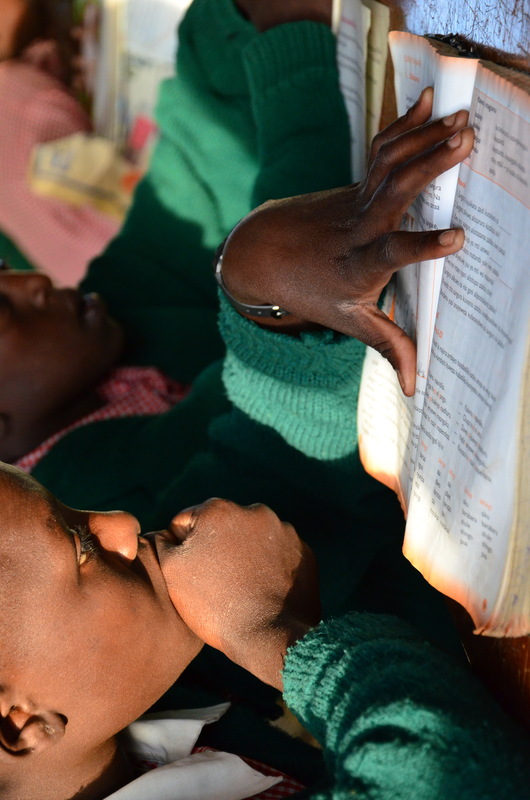 In all of the schools we visited, the low number of girls in class was discouraging. Mr Pere mentioned that his school has 85 pupils with only 38 girls. He was quick to mention, though, that this was starting to change. The solar lanterns, he added, would make a whole lot of difference as parents who found it a burden to purchase kerosene on a daily basis would now be motivated by the use of ‘modern,’ cleaner sources of light. This would, in turn, have a ripple effect as parents copy each other when they see their neighbors’ children learning by using such lights. 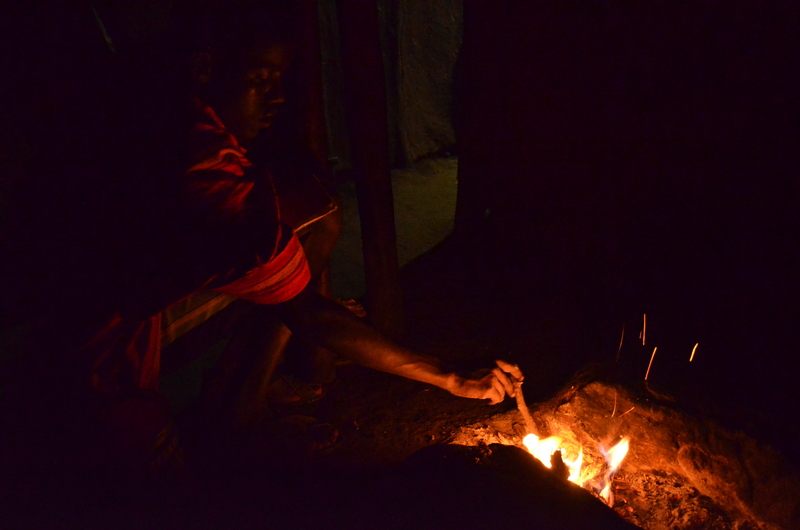 The Manyattas (traditional Masai houses) are pitch black with the fireplace as the only source of light, which some students use to study. As I travel to Germany this weekend for the Deutsche Welle Global Media Forum (GMF) on Education and Culture, I cannot help but reflect on how many things I have taken for granted as I went through my education. I look forward to hearing from participants at the conference about their own experiences and finally meeting the other bloggers.